Captain America: Civil War is next up in Marvel’s never-ending stream of releases, and judging by the general synopsis and early publicity it’s going to be one of the studio’s bigger superhero projects to date. Civil War isn’t a full-fledged Avengers project, but it will feature more heroes than the average solo film, and will in a sense set up the next chapter in the Marvel saga. The plot of Civil War is that the government is putting a registration act in place to keep track of and, in a sense, reign in superheroes. After the tragedies of Age Of Ultron Tony Stark believes the Avengers should comply with this registration act, whereas Steve Rogers believes the superheroes are better off making their own decisions. This causes a rift between the two, and many of the heroes who until this point have basically been sidekicks and supporting characters will have to choose sides. Thor and Hulk aren’t believed to be significant players in the film, and may not actually be there at all, so the split will primarily concern the smaller characters. But it will also make those smaller characters more prominent in the MCU, presumably through more screen time and general importance. And while people like Black Widow, Winter Soldier, and The Vision figure to play important roles, the two that stand to make the biggest leaps in significance are the right-hand men of Stark and Rogers: War Machine (aka Colonel James Rhodes) and Falcon (aka Sam Wilson). 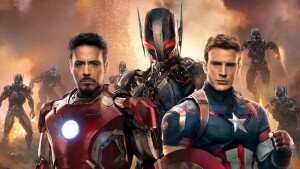 With the possible exception of Black Widow, War Machine may already be the most prominent of the supporting characters. Fans will recall that Col. Rhodes was initially played by Terrence Howard, but the role really developed under Don Cheadle in Iron Man 2. In that film Rhodes found himself strapping into an Iron Man suit and getting to work alongside (or at times even against) his buddy Tony Stark. War Machine has since appeared numerous times, usually as in the form of reinforcements when Iron Man needs a little help on the battlefield. But there’s always been a peculiar divide between War Machine’s significance and his actual role. The publicity and imagery from Iron Man 2 at times made the character seem like an equal to Iron Man, rather than a sidekick. In fact, even video games took up this imagery to some extent. Gala Bingo’s gaming selection includes a game specifically tailored to Iron Man 2, and looking at it War Machine seems to be sharing top billing. His suit and weaponry are featured relatively evenly to those of Stark and he’s right there on the cover of the game, a step behind Iron Man. Gaming and film posters aside, War Machine always feels like something less in the films. Why, if he has the same suit and powers as Iron Man, isn’t he used more frequently and effectively? This is a question that we expect Civil War is going to answer, if any film ever does. 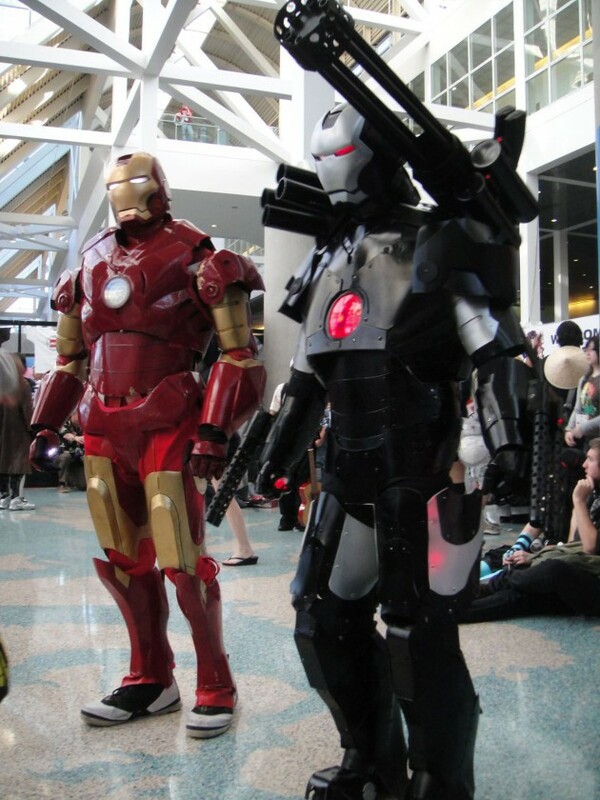 We actually know very little about the different characters’ individual roles in the film, but it goes without saying that War Machine will side with Iron Man, and in many ways he is Stark’s most trusted ally. We Got This Covered’s early peek at character images suggested a slightly different look for War Machine, but beyond that it’s anyone’s guess as to how he’s used in this film. The only thing that’s clear is that it’s his chance to shine. On the Captain America side of the so-called Civil War, Falcon would appear to be the closest thing to a direct counterpart to War Machine. In fact, even in the Captain America films Falcon has come across as something of a forced version of the same character. Just as Stark has a military buddy who ultimately becomes privy to Iron Man secrets and suits, Steve Rogers befriends a military man who winds up with a largely unexplained, glorified jetpack. Such is the issue with Anthony Mackie’s Falcon character. He’s been likable enough, and it’s pretty clear that he’ll fight with Captain America whenever necessary. But really, a few films into his time in the MCU, we still don’t know exactly who he is or why he’s important. He’s one of the least “super” of the characters, and as such he’s always come across a little bit randomly. Unlike War Machine, Falcon suffers from a relative lack of exposure. Captain America is a common fixture in the same style of online gaming in which you can find Iron Man and War Machine, but Falcon is never afforded the same prominent position as a clear sidekick. He’s even missing from the popular mobile game “Contest Of Champions,” in which War Machine is a playable character. If Civil War‘s task with War Machine is to bring his presence up to the same level as his visual prominence, the goal with Falcon will be to do the same thing in reverse. In other words, give him a strong presence that might result in the greater exposure worthy of Captain America’s right-hand man. Cinemablend quoted Mackie confirming that his Falcon suit will be upgraded in the new film, and that might actually be a crucial starting point given that he had his wings clipped in Captain America: The Winter Soldier. Perhaps a more capable suit will lead to a greater role in hero-related activities. But as with War Machine, we’ll have to wait and see how Falcon is actually used on screen. There will be a lot of new things to digest when Civil War finally arrives. But with Captain America and Iron Man squaring off, their most loyal partners figure to play large roles. And that means we could see a far greater focus on War Machine and Falcon.